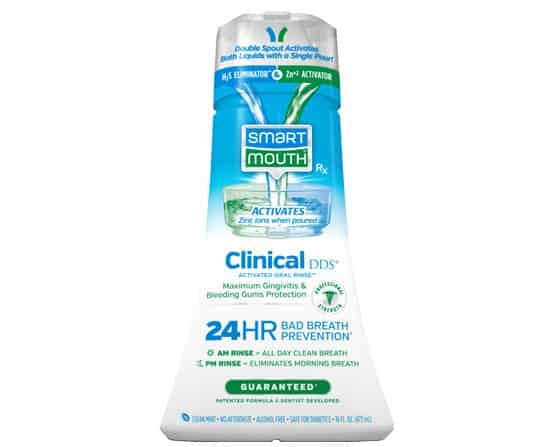 SmartMouth Original Activated Breath Rinse contains a zinc ion solution that activates as you pour to eliminate bad breath instantly and prevents it from returning for a full 12 hours with every rinse. Solution 1: Purified Water, Sodium Benzoate, Sodium Chlorite, and Benzoic Acid. Sign up today for coupons, offers and updates! When poured in the cup, SmartMouth’s two liquids — the Sulfur Eliminating Solution, which destroys sulfur gases, and the zinc ion Activating Solution, activate to release billions of zinc ions. It’s this zinc ion activation technology that blocks germs from consuming protein particles inside your mouth. This is the key to preventing sulfur gas production and the secret to all day bad breath prevention. 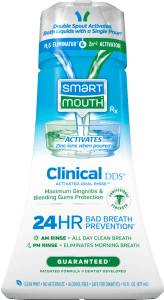 SmartMouth Clinical DDS Activated Oral Rinse combines zinc ion technology with anti-plaque and anti-gingivitis benefits to prevent bleeding gums for optimal oral health. 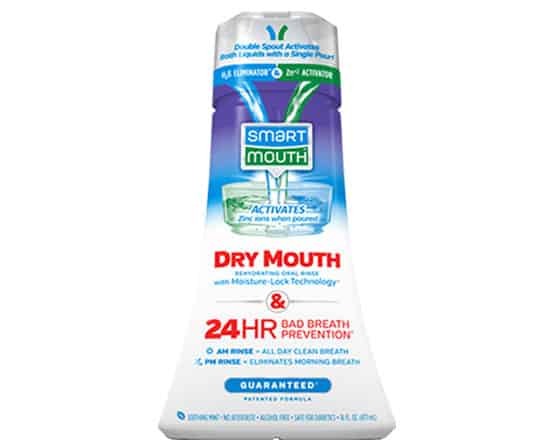 SmartMouth Dry Mouth Activated Oral Rinse relieves dry mouth and contains zinc ion technology to eliminate and prevent bad breath for 12 hours with every rinse. Do You Know What Causes Bad Breath? 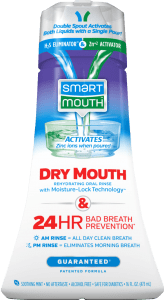 SmartMouth Dry Mouth Activated Oral Rinse provides relief from the symptoms and discomfort of dry mouth AND contains zinc ion technology to eliminate bad breath while preventing it from coming back for a full 12 hours per rinse. 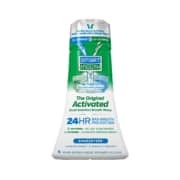 This rinse is specially formulated to soothe, moisturize, and rehydrate oral dryness. Solution 1: Purified Water, Sodium Benzoate, Sodium Chlorite, Carboxymethylcellulose Gum, Benzoic Acid. Tell us what you think and receive a coupon to save $1.50 on any 16oz SmartMouth Mouthwash item. Thank you for leaving a review! 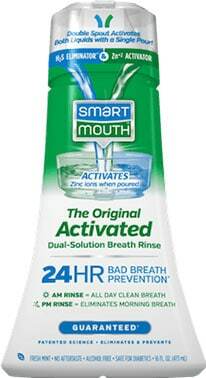 on any 16oz SmarthMouth mouthwash item. 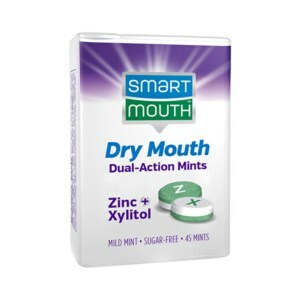 SmartMouth Dry Mouth Dual-Action Mints contain zinc to promote a healthier mouth and xylitol to stimulate saliva. Use any time to temporarily relieve dry mouth. SmartMouth Clinical DDS Activated Oral Rinse combines zinc ion technology with maximum anti-plaque and anti-gingivitis benefits to help prevent bleeding gums. This patented solution promotes optimal oral and general health without sacrificing any anti-bad breath technology. 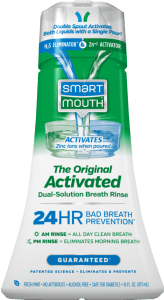 SmartMouth Original Activated Breath Rinse contains a zinc ion solution which activates as you pour to eliminate bad breath instantly and prevents it from returning for a full 12 hours with every rinse. We know you came to our site to learn about SmartMouth, but we’d love to learn a little about you. Please take a moment to answer a few brief survey questions so we can get to know you better. As a thank you for your participation, you’ll receive a coupon for $3.00 off one of our premium mouthwashes. We look forward to hearing from you! Results may vary. 24-hour bad breath protection results associated with twice daily use. SmartMouth products are not intended to diagnose, treat, cure, or prevent any disease. All SmartMouth products come with our guarantee that ensures SmartMouth will work exactly as described on this website or your money back. Always consult your healthcare professional. Tell us a bit about yourself! 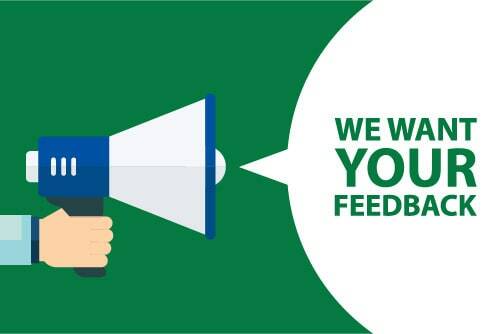 You have been selected to participate in a short survey designed to help us learn more about our customers. As a thank you for taking this survey, you will receive a coupon for $3.00 off one of our premium mouthwashes.